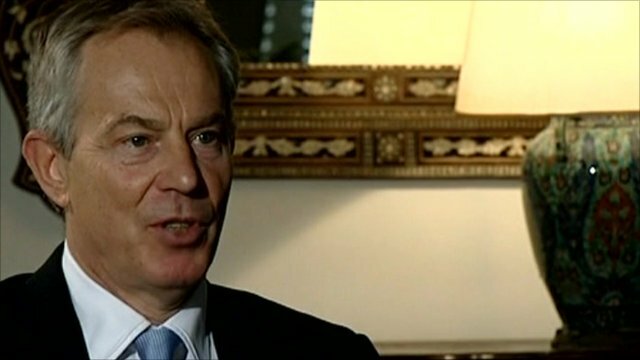 Envoy Tony Blair on Egypt unrest Jump to media player Tens of thousands have gathered in central Cairo for a seventh day of protest, calling for a general strike. 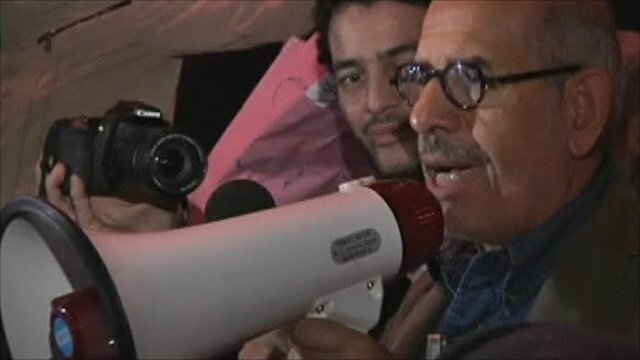 ElBaradei: 'What has begun, cannot go back' Jump to media player Mohamed ElBaradei, who was previously best known by the international community as the former head of the UN nuclear agency, is now one of the key figures hoping to provide moderate political leadership to the demonstrators in Egypt. 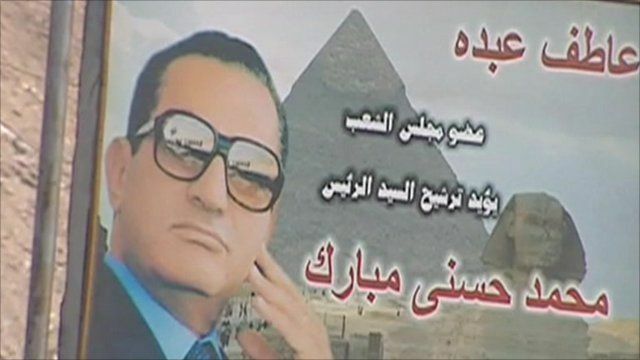 International pressure is growing on Egypt as thousands call for President Hosni Mubarak to step down. UK PM David Cameron appealed to President Mubarak to go down the "path of reform and not repression". BBC's World Affairs Correspondent Caroline Hawley reports.